I love asparagus…I would rate it within my top 5 vegetables. Asparagus was prized by the ancient Greeks and Romans for its unique flavour, texture and alleged medicinal qualities. Famous figures, such as Julius Caesar and Louis XIV's, love of asparagus is renowned. Asparagus is often called the "Food of Kings." King Louis XIV of France was so fond of this delicacy that he ordered special greenhouses built so he could enjoy asparagus all year-round. 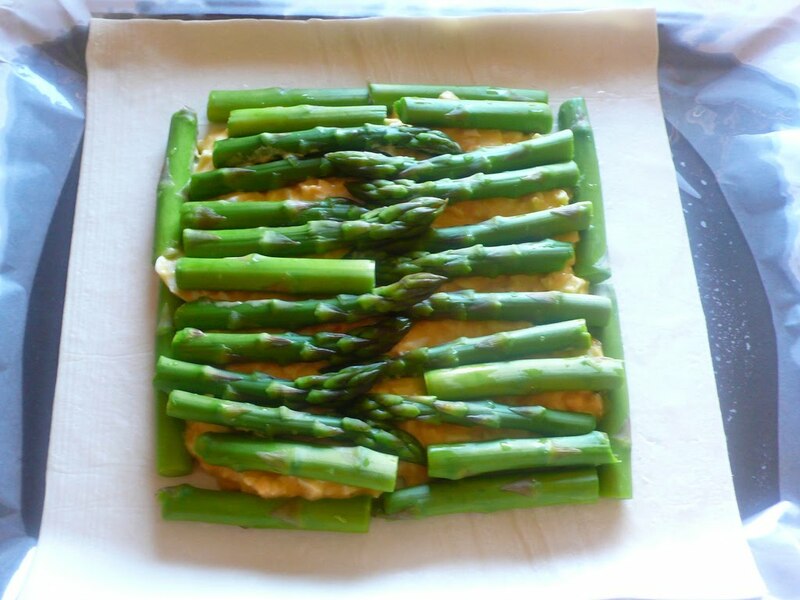 The Emperor Augustus coined the phrase ‘velocius quam asparagi conquantur’, meaning to do something faster than you can cook asparagus. It’s Spring now which means it’s asparagus time! Last year I moved out of home into a unit in Highgate and hosted a succession of dinner parties. 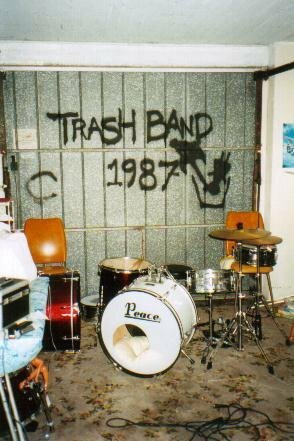 I used to play in a local Perth band between 2003-2006 and one night I had a Trash Band 1987 reunion, I invited my trashers over to my new crib for dinnertimes and games. Some trashers are vegetarians so I had to cook something for dinner that was vegetarian-friendly. 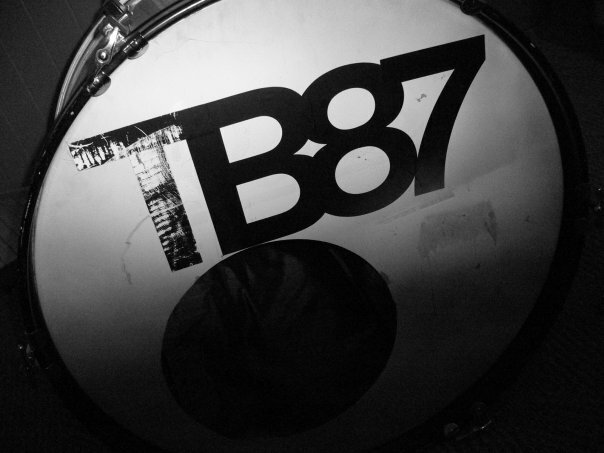 In the end I decided on a Trash Band 1987 themed vegetarian pie. So what’s in this pie? Blanched asparagus spears on a bed mashed egg. It’s simple but tasty! Mash up some hard boiled eggs together with a little butter, mayonnaise, salt and pepper…it’s not a science, there doesn’t need to be exact quantities, just taste and adjust, taste and adjust. On the bottom layer of the puff pastry, place the egg mixture in a square (build an asparagus wall around it) and then place blanched asparagus spears on top. Brush some egg around the edges and then lay the top piece of puff pastry over the filling and seal. That’s the easy part and now to the hard part…. I wanted to make a Trash Band 1987 themed pie so I decided to decorate the top of the pastry with a girl, a trash can and a guitar. 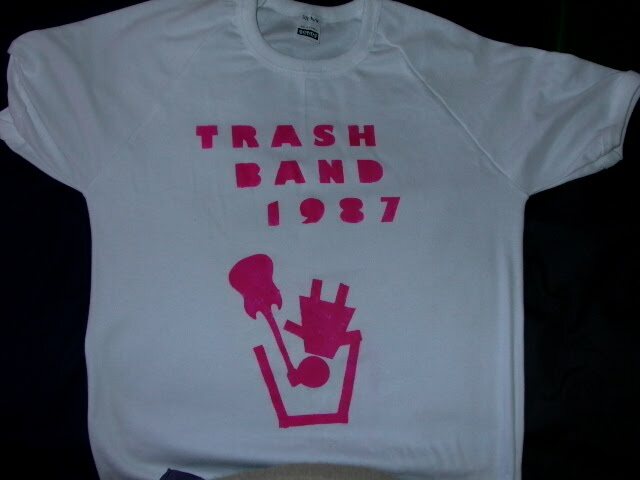 This was modeled on a Trash Band 1987 tshirt design. I used a small knife to cut into a piece of puff pastry to create the shapes. It took some time but it turned out well. Glaze pie with egg and bake in a preheated oven at 180C until nicely brown. 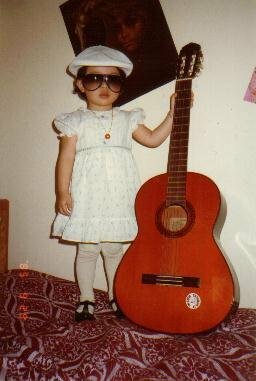 …..from a young age I exhibited a lot of trasher potential. 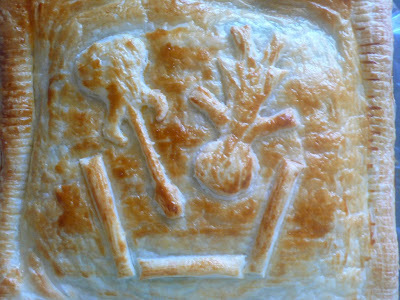 People should make more band themed pies. 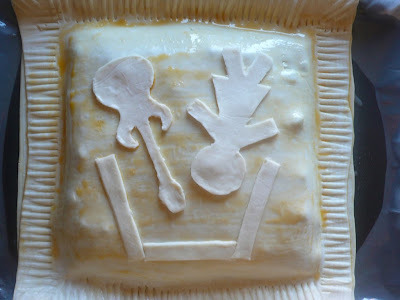 You should make more band themed pies. You have a knack. Also, asparagus apparently has something in it that assists your liver and is good to eat when you're hungover, which goes with the band theme very nicely. Making themed pies are fun and a great way to surprise dinner guests. You make great themed cupcakes, I think that can translate to pies as well. I didn't know that asparagus helps with hangovers, have to note that for future reference! 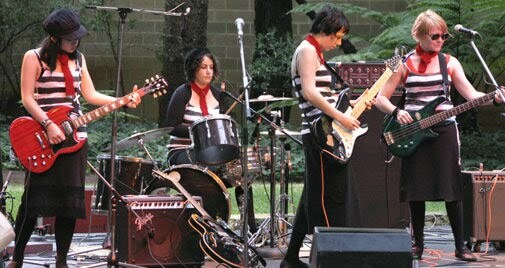 cant wait for next spring to make your Trashband pie! Asparagus and I have an enduring love affair!